It's hard to beat starting quiet Sunday morning in Chatauqua Park photographing Boulders iconic Flatirons formation at sunrise. Gettings the clouds to cooperate and hang right over the Flatirons can be tricky so I was more than thrilled on this January morning when all the elements came together for this image. 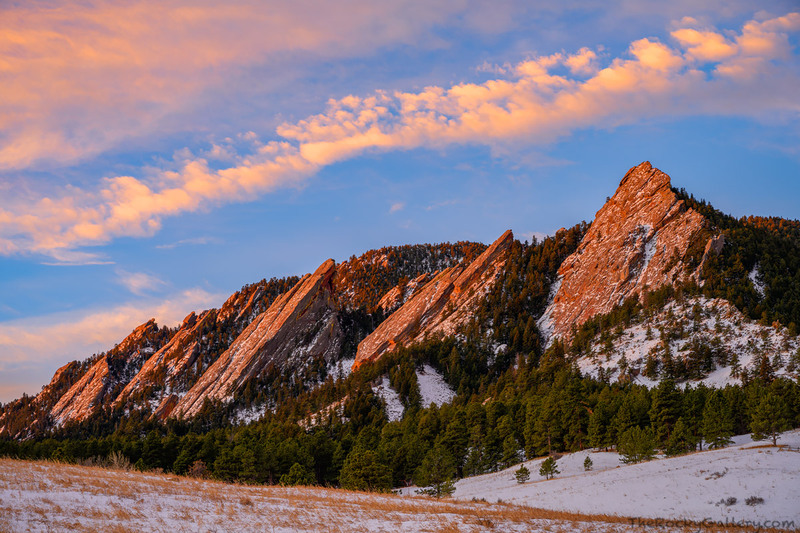 Warm light, snow and clouds help to make one of Boulder most beautiful locations even more spectacular if that is possible. Photo © copyright by Thomas Mangan.